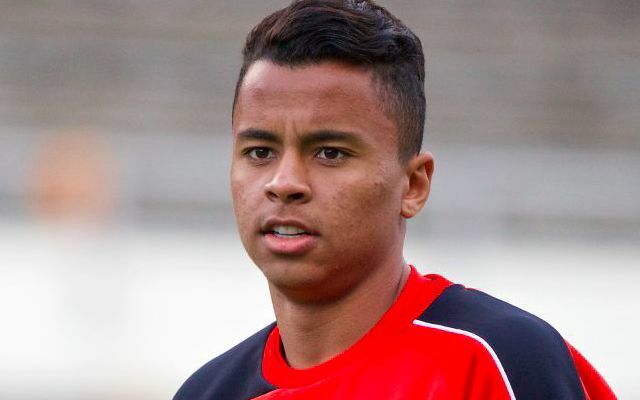 Allan Rodrigues de Souza will be on the move again this summer having still not played a competitive game for Liverpool. The Brazilian will be forced to find football elsewhere as he continues his wait for a UK work permit three years after signing for the club. Bundesliga side Eintracht Frankfurt have emerged as a likely destination, with the difference being a potential permanent deal. The German club will allow Allan to train with them this pre-season as they weigh up whether to offer him a move, according to Goal.com’s Ronan Murphy. Allan was one of 26 Reds to report for the first day of pre-season training on Monday, but seems unlikely to feature in Saturday’s friendly against Chester. The 2016/2017 campaign granted him a first taste of Bundesliga football when he managed 15 appearances during a temporary spell with Hertha Berlin. Last season proved something of a setback in Allan’s progress as he featured 20 times whilst plying his trade in Cyprus for Apollon Limassol. His deal was cut short in April when Allan returned to Merseyside for surgery on a shoulder injury he remains in the process of fully recovering from. This could be the summer he seeks a permanent home in aid of igniting his stuttering career.